Anti-encroachment drive in Kerala runs into political controversy after cross is pulled down. Another eviction drive to reclaim government land in Munnar has come to a halt after protests from political parties. The removal of a giant metal cross built on government land as part of an anti-encroachment drive in the hill station of Munnar in Kerala’s Iduki district has triggered a political storm in the state. On April 20, officials of the state revenue department pulled down the 30-foot-high cross from the Pappathichola Hill in Munnar. The cross was built there by a little-known group called Spirit in Jesus, which had reportedly encroached on about 30 acres of government land. Some temporary sheds and other make-shift construction in the area was also cleared. Spirit in Jesus is an independent organisation based in Thrissur that is not recognised by major churches. However, the revenue department’s move met with criticism from the Kerala Chief Minister and Communist Party of India (Marxist) politburo member Pinarayi Vijayan. Vijayan said the cross was a religious symbol and the manner in which it was pulled down sent out the message that the Left Democratic Front government was against the Christian faith. He said the officials “should have consulted the elected government” before taking the step. The revenue department is under the Communist Party of India. The CPI (M) and the CPI are allies in the Left Democratic Front government but the relationship between the two has been tense for a while now. Despite this, many Christian religious leaders have supported the move. The Metropolitan of the Niranom Diocese of the Jacobite Syrian Christian Church Geevarghese Mar Coorilos said Jesus would have been happy to see the cross removed from illegally occupied land. 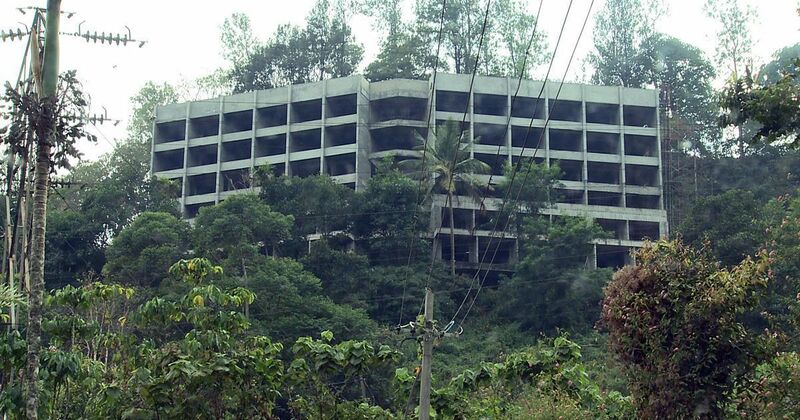 Indiscriminate construction of multi-storeyed buildings and resorts in Idukki, much of it on encroached land, has led to the depletion of green cover in the ecologically sensitive district, especially in Munnar, a hill station popular among tourists. Several reports and surveys have raised alarm over the rapid depletion of green cover in the area, which has also affected rainfall patterns. A report submitted by the State Land Revenue Commissioner AT Jose in March warned that unauthorised construction and encroachment had been destroying Munnar. 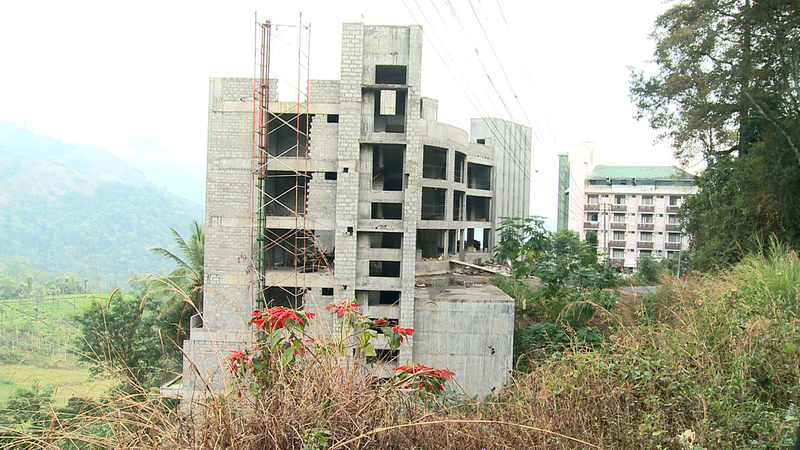 The State Legislative Committee on environment, headed by CPI leader Mullakkara Ratnakaran, asked the government in February to ban high-rises and stop giving permits for construction of buildings for six months in Idukki. A study titled Measures to Mitigate Agrarian Distress in Idukki District of Kerala conducted by the MS Swaminathan Research Foundation in 2008 also pointed to the depletion of the forest cover in the district. The report warned that rapid deforestation would have an irreversible impact on the weather in Idukki and adjoining regions. A government inquiry in 2004 had established a nexus of firms, politicians and government officials that was allowing land grab to go on unchecked in the region. 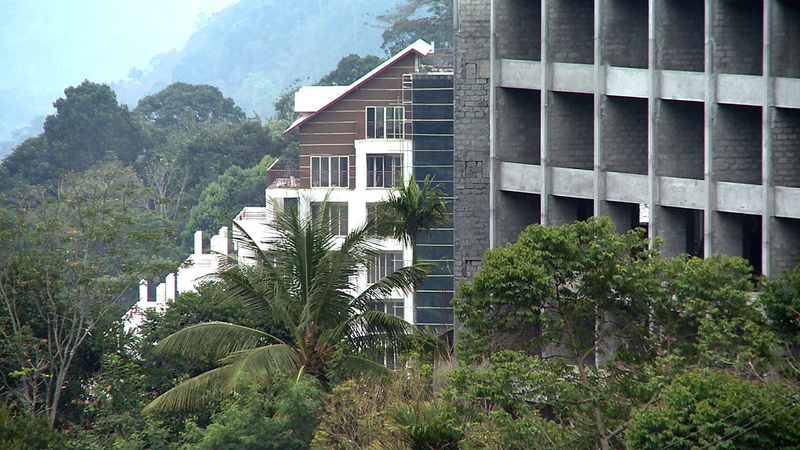 A recent report by the revenue department said that the land mafia had grabbed and constructed high rises near the Pallivasal Hydro Electric Power Plant, on state-owned land, near Munnar. The land is owned by the Kerala State Electricity Board. The report, submitted by Devikulam Sub-Collector Sreeram Venkataraman, who had led the drive to pull down the cross, said that the electricity board had written to the revenue department requesting it to clear the encroachment. Constructions near the Pallivasal Hydro Electric Project in Munnar. The land belongs to Kerala State Electricity Board. However, efforts to check encroachment have been sporadic and when they are undertaken, they often hit hurdles. The local leadership of the CPI (M) has been protesting against the latest round of anti-encroachment efforts, which the revenue department began last month, claiming that it will render thousands of poor labourers and farmers who have occupied small portions of the land landless. But Opposition parties have alleged that CPI (M) is trying to protect land sharks using farmers as a shield. In 2007, a tussle between the CPI and the CPI(M) had halted another such effort. A special task force led by former IAS officer Suresh Kumar had launched a massive demolition drive against illegal structures in Munnar, under Chief Minister VS Achuthanandan of the CPI(M). The task force however ran into trouble when they demolished a walkway and compound wall of the local office of the CPI. The team claimed that the construction stood on encroached government land. The CPI retaliated by demanding the demolition of the CPI (M) local office, alleging that it too stood on encroached land. Though the CPI later said it would not stand in the way of the anti-encroachment initiatives, the drive lost its momentum after it was embroiled in a fight between the two major constituents of the ruling coalition. Construction on allegedly encroached land near Pallivasal Hydro Electric Project in Munnar. The land belongs to Kerala State Electricity Board. Close to one lakh families, including several Adivasi communities, live in Idukki without title deeds. 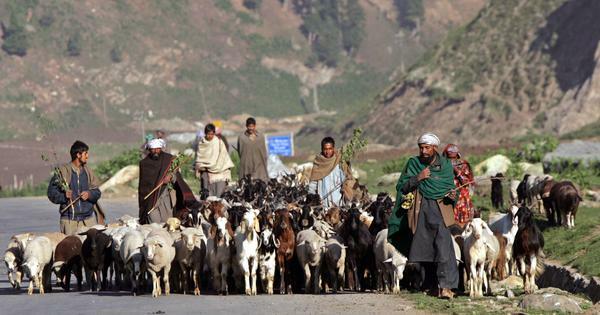 The CPI(M) said that it is wrong to peg such families, who possess just .1 acre of land, as encroachers. “The government should make a clear distinction between settlers and encroachers. It is wrong to put the tribals who build houses in their small piece of land and those who construct high-rises in huge tract of land in the same bracket,” CPI(M) said in a statement when the revenue department had started issuing eviction notices to illegal properties. Taking note of the suggestion, the government, in a meeting chaired by the chief minister in Thiruvananthapuram decided to distinguish between settlers and big encroachers while undertaking demolition. At the meeting, the government also decided to grant title deeds for landholdings up to four acres for those who settled in the district before 1977.